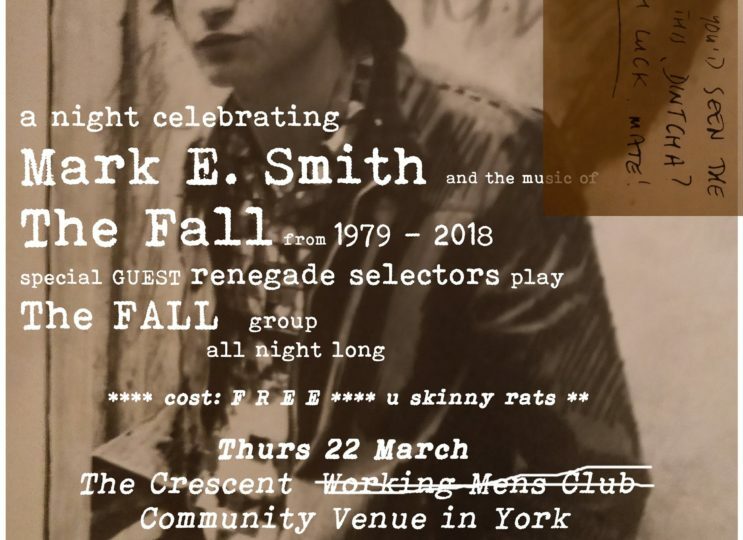 A celebration of the music of Mark E Smith and The Fall group. Impudent selections from special guest renegade selectors playing wall to wall The Fall group all night long. As well as the music of The Fall group there will be beer and Whisky for sale. Probably some Fall video footage. 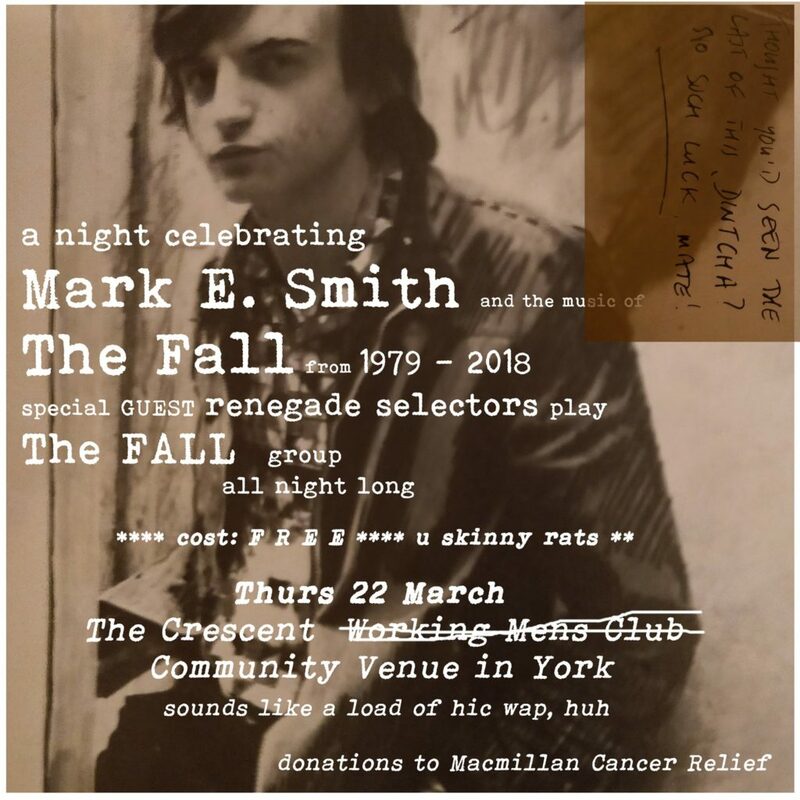 The cost of the event is free but if you want to guarantee you hear your chosen records from The Fall, msg us to make a donation and your wish may be granted. You can even play the vinyl or other media less pleasing to the league of bald headed men if you make a donation.